Here is a punch list of issues reported, in progress, or resolved to keep you all in the loop. Thank you all for helping to report issues. Please feel free to add by replying with any other issues you encounter. Our developers are working to resolve these issues and we will update with any fixes when we have them. Some of the bugs may no longer be an issue and we will update once we are certain a bug is specifically is fixed, we will remove these from the outstanding list. Is it necessary to include accepted images but did not appear in our DB ? I’ll add that some of my photo uploads are somehow being duplicated in my queue. I had a photo accepted two days ago and that image was somehow duplicated and I now just got an unexpected double rejection. I’ve had to double check and so far I’ve caught a few copies that were unexpectedly sitting in my queue. 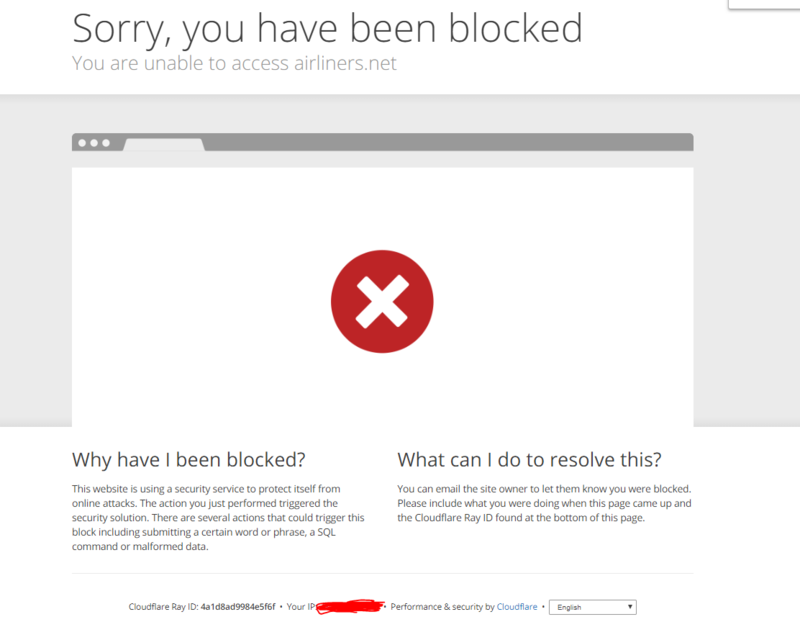 I have to use VPNs in order to come and surf the Airliners and believe it or not it's quite difficult with slow connections. Can't you fix this thing plz? It wasn't like this 2 years ago. Is there a current issue displaying approved photos? I have a number of approved photos that seem to be stuck at “approved pending processing”. They have been stuck at this point for over 4 hours now where they are normally available instantly. Yes, same issues as recently. Please don't upload any photos, as chances are they are getting corrupt. We've also halted screening for the time being. Things seem to work again, so we're back to screening and uploading photos should work again too. Obviously on some shots accepted yesterday, the view count is still stuck. But maybe it is being solved, as on shots from today it seems to work. So maybe it takes its time to reindex them. Hi, the view count on my latest shot (ID:5291177) remains zero. Please check it out. Same for me 5288229 also stuck ar 191 views the whole day. Hi Paul, thanks as always for your and the team's hard work. Right now it seems like the issue is still ongoing, as something is wrong on the view counter not only for my photos but also for some others. The grammar and spelling on the home page is terrible. Both fixed. But I'm sure you can understand that we have an international team and these things happen. Surely you're not always 100% perfect with spelling either? I find that when I try to edit my post there's a 50/50 chance that instead of the edit a duplicate post is produced. I see a lot of dup posts on the site, so I know its not affecting only me. Hasn't anyone brought this up before? I'm tempted to edit this post for an example! Cheers! Okay, the edit worked this time oh well - it IS a problem I find. This isn't really the correct thread to raise this issue. This thread is regarding technical fixes with the site. It would have been preferable to either post a new topic in Site Related, or better yet, email us at [email protected]. Your thread was not deleted or disappeared, it was moved to the Travel Forum. That is the correct forum placement for that thread. You can also find it by viewing your posts from your profile. Your thread was not deleted or disappeared, it was moved to the Travel Forum. Well, I'm sorry, I did not see the thread in my profile. I did not get alerts regarding the responses I got for the same. I also did not get any notification from the mods regarding the thread being moved. Anyways, Now that you've told me where the thread is, consider this matter as closed. Hey guys, didn't know where to post this. The IATA code of Karaj - Payam Airport (KRJ) is incorrect and has to be changed to PYK. I will inform the editors, thanks! For similar things, you can E-mail editors[at]airliners.net. I think this is a good thread for me to ask. I can't seem to change my avatar at all and in the past it has always shifted to random older avatars I had, and now I can't change my avatar at all as it just blocks my access. Anyone know why this is? Thanks. Thanks for reporting this and making us aware of it. We'll look into it and try to ensure it doesn't happen again. I should actually further explain it. In general, avatar changing for me has been incredibly buggy. For example, it'd take weeks for my new avatar to show up on the forum, and recently when I changed my avatar, it used an even older avatar from ages ago instead of updating to the new one. However now, after I deleted my previous avatar, it's just completely blocked me off from changing. I actually wanted to change my avatar as well. Noted and we are looking into this. There are videos of the moving of the Corendon Boeing 747 (former KLM I believe) all over YouTube. I am just curious as to why they did this? I am not questioning their reasoning, I'm just curious why a company would spend all this energy, money, and other resources to move this beautiful air frame. I did a search on A.net and found a string (I'm sure there are more than one string). Now that I found a string I want to read, several words in the initial post and in the comments that are reversed highlighted yellow that is so bright I am unable to read those particular words. Is there a way that I, as a viewer, am able to tone that yellow down or off completely after I found an existing string? Otherwise, I am spending time trying to figure away around it instead of enjoying reading information off the site. Flying is the second greatest thrill known to mankind, landing is the first! When you search for certain words on the site, those words are highlighted. If you look at the URL in your address bar, there should be text at the end that says &hilit=Airbus+A320 (In this case, it is highlighting the terms Airbus and A320). Just delete the &hilit and any text after that in the URL and it should go away. I'm having the same problem. Try to save profile with an avatar and I get the 'you've been blocked' message. The site has been pretty glitchy for me tonight. Posts I’ve seen are still showing up as “unread” and whenever I select “Civil Aviation” to exit a thread I’m in, it instead redirects me to another random thread. I’ve also been getting loading errors and server errors on occasion that say “there are too many connections at once”. Anyone also having this issue? Reproduce: New notification on the bell icon. Click bell, click the article. Clicking the notification for this thread takes me to post #208 instead of #220. So is there any chance we're going to see proper HTML rendering of quotation marks on the home page forum crawl? It's been swell, but the swelling has gone down. Is it by design that clicking on topic links pops up an ads page to some other site? Seeing this pretty regularly on mobile, and also on desktop couple of times. This is pretty annoying, especially for those who had paid membership fee before site became free. Is there any plans to do this only for unsigned users? Many forums show such annoying ads behaviors only for anonymous users and not signed-in users. Looks like three months have passed and this major major bug still hasn't been fixed. Yes, that is unfortunate. One would think the forum administrators were capable of fixing this bug as soon as possible. It doesn't make the forum look good to let this bug fester for so long.